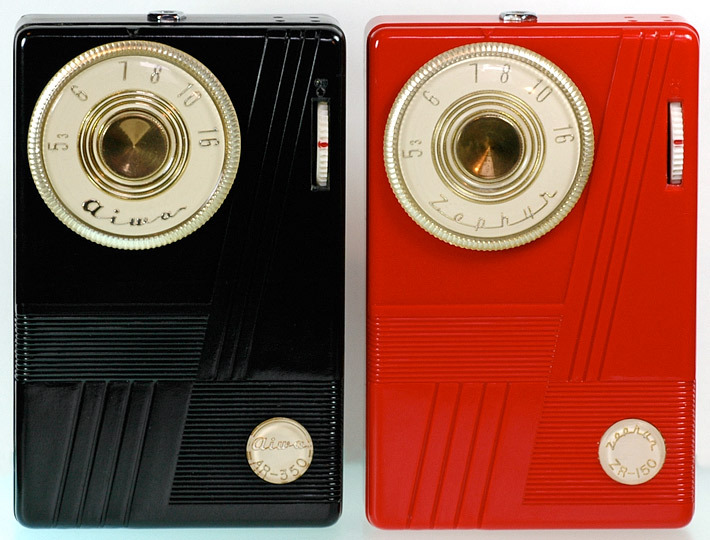 Aiwa made some fantastic transistor radios in the fifties, both under their own name and as an OEM supplier for other brands. One of the company's earlier efforts was the AR-350, a small earphone-only 3-transistor radio built in 1958. The reverse-painted tuning dial and product badge contrast nicely as round elements set against the sharp lines of the cabinet's face. You may also notice the conspicuous lack of CD marks, something we might attribute to the fact that this model was never marketed in the United States. The photo above shows the AR-350 in black sitting alongside a sweet red Zephyr ZR-150, an OEM version of the same radio.